Today the amazing Mr 'X' will be joining me on my blog and I’m already hot under the collar to be meeting New York’s male equivalent to Carrie Bradshaw, to be honest I’m not sure if I will come out of this meeting alive. My thoughts on his book. I read this book over three days as I was unable to stop. The story was originally written in a note book, and to me it hasn’t lost that feel giving the story true authentic appeal. It’s not over worked or over written its 296 honest pages of an extraordinary man’s life. The book is full of random dilemma’s that Mr ‘X’ face’s in the early stages of helping his friends set up their exclusive makeover agency for the privilege lady. Friendships are tried and tested as the three important women in ‘X’ life are fighting for not only his hand in marriage but (cough…cough) his affections in every way possible. Each of the dates in the book is unique to the lady receiving the service. ‘X’ man is pushed to the limits of his abilities to ensure that each lady leave’s him feeling satisfied. At one point he even has to break into a bank to give his client the date she deserves. The story takes a sad twist and for this you see the man that appears to have it all, the money, charm, appeal, ladies and a great set of friends feel as though he has nothing. This is a very emotional part of the book that has been written from deep within his heart revealing his sensitive side. The book is packed with giggles, the most hilarious thanks giving dinner and cringie but brilliant wedding episode. Welcome ‘X’ Man. Normally one of my first questions is why did you write this book. That’s explained from the outset but for the people that haven’t discovered what you have to offer between the pages please give us a brief insight. As you know I was trying to win back a woman I lost due to my reckless actions with her bosses wife in an elevator. Helen asked me to become the subject of her book and if I did this for her she would allow me back into her life after she ran away from me. My other partner in crime Angie threatened my life if I did not complete this book project that has made me meet more women than Prada. During that span of time covered in the book I understood that Helens quest to have me date the world via her book became my road back to myself and the people I love. This book will forever be about them and me during our time together as we learned the value of life, friendships and love. From the book I understand you would not call yourself an author, but I’m sure everybody is gagging to know, will you be treating us ladies to a second insight to your world? The crazy thing about releasing that book was the response it got from women who I never met before. I know I don't live a normal life, but somehow women from all around the world wanted to become a part of my life. I get emails in languages I don't know contacting me in ways that would make E L James blush. This made Helen and Angie ambush me one night at a club and demand I write more books as Mr. X. This all happen a few months after the ending of this book. 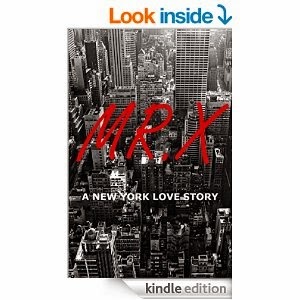 I just went back to my life not as Mr. X in New York while the world began to want Mr. X. It took several attempts on my life and a few interesting bribes, but in the end the book mafia extorted four more books out of me. Book 2 Mr. X - The Beginning will take everyone back to the time I came back to New York and began my PR firm and my life in New York. It was an interesting time for me since I had no one in my life at that time and you get to see how my gang and I came together in my quest to conquer New York. So tell me what is Mr ‘X’ normal daily routine from waking up to going to bed? It is normally around 11:00am and it involves me saying good morning to a picture from Miami I have near my bed of a special angel that owes me a dance. Then it's off to the world’s most empty designer kitchen for coffee while I try to become normal. 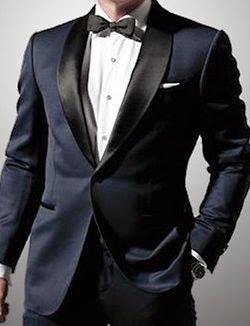 I find a suit and begin my day of meetings, and making money. I always have lunch with a woman. The smile of a woman during a lunch date is something that I will always do until the end. Once the evening hits I make it a point to never eat dinner alone or at home. I meet women everyday from all over the world here in New York and that adds the spice to my dinner and everything that follows after that evening. You amaze me with your schedule and focus to your horses and your kids. I would send a car for you at the airport after your long trip from the UK. In the morning I would meet you for a late breakfast / lunch so that I can begin the process of taking you out of your world and into mine. After our conversation involving wine and smiles that can only be found on first dates, I will take you for a walk in Central Park so I can learn to match your rhythm of walking as I always look for a way or reason to hold your hand. I would then take you over to a spot that keeps the last of New York's riding horses and have you select one for a afternoon ride in the park. After your horse is back with his friends I would take you back to your suite in order for you to get ready for dinner with me at one of my favorite restaurants here in the city. After I feed you and deplete the world of another bottle of wine, I will kidnap you to a lounge for further drinks and conversations that will lead us deeper into the night. Then I will ask you if you want to miss your flight in the morning? I have an incredible smile that keeps me in business and in trouble. I was born here in New York and was raised by my Grandfather who was a gentleman and a lover of women. He taught me that a man has to be whatever makes a woman happy. Other than dating what’s your favorite pastime? Enjoying life in everyway I can find. I now find myself replying to emails from women all around the world thanks to this book. On average I am a New Yorker at heart so I spend a lot of my time just meeting and talking to amazing people that live here in my city. You don't have to be a model or rich to get my attention. I love people and if you ever find yourself here in New York talking to a very nice stranger in a designer suit who pays for your dinner. If I offered you a drink from the bar what would it be? I would offer you a drink first. Let me try to answer that without a lawsuit. 1. She sings and dances but can never stay married. 2. Her and her friends made this city fabulous. 3. She is known as Hollywood’s home wrecker. 4. She was New York's original uptown girl. 5. I also dated two Spice Girls. Do you have a date set up for tonight? She is taking a shower right now in my apartment. Oh well we had better let you go and entertain…Thank you for joining me and giving me the pleasure of spending some time in your life. I loved every minute of it.